Here at Oceandivers we are dedicated to promoting safe Scuba Diving and the magic of the underwater world. The Business is run by Willie Siddall and Brian Murphy who were the first Instructors to bring the PADI system of diver training into Ireland way back in 1989. Between us we have trained thousands of divers and we are supported by a dedicated team of friendly Instructors and Divemasters who love to dive and who take great pride in our 100% safety record. Oceandivers is a fully approved PADI 5* Instructor Development Dive Centre. Our main office is in Bray, Co Wicklow but water operations and PADI training classes take place in a number of key locations around Dublin. Most of our pool training sessions run in the National Aquatic Centre, Blanchardstown. We have been with the NAC since this Olympic grade facility first opened in 2003 and the amazing 5 meter Deep Diving pool offers a unique scuba training environment. As well as the deep pool, our PADI Open Water courses start in the shallow 1.5 meter pool where students learn basic skills and gain confidence before heading to the Big Blue! We run regular boat dives onboard our 8.5 meter RIB departing from Dun Laoghaire Harbour and from there we have easy access to some great dive reefs and wrecks around Dalkey Island and further out into Dublin Bay. 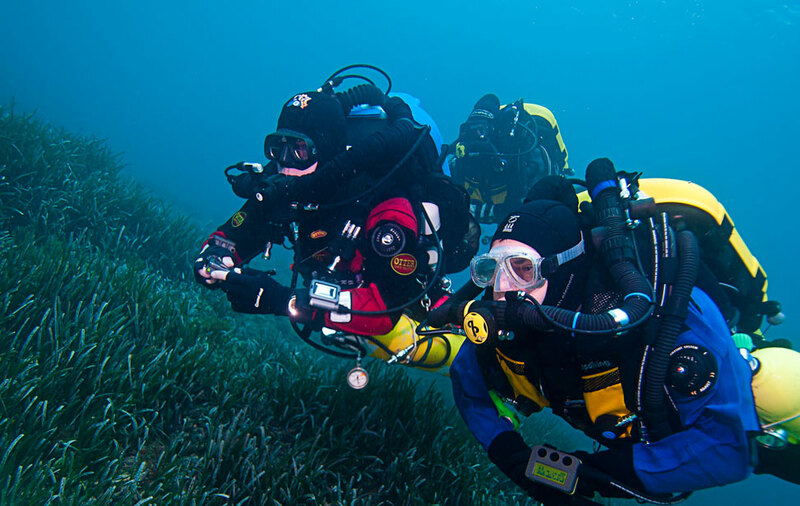 Training dives from the shore are usually conducted at Sandycove beach and Scotmans Bay where the shallow sheltered waters are perfect for beginners. Certified divers and Club members can avail of our Dive Safari service which offers weekend trips to some of the more remote dive locations along the Atlantic coast of Ireland. We know all the best spots and can show you places that rank as some of the best dive sites anywhere in Europe! Our mobile unit can take care of all the logistics and gear rental.